Competition - architecture,urbanism, societal planning, June, 2017. 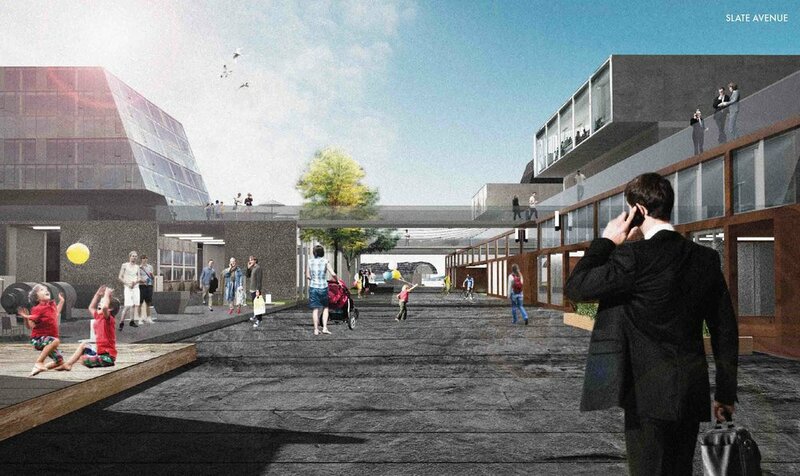 This entry was awarded with a Special Mention in the Europan 14 competition. Alta had in total 4 awarded entries out of 28, making it the most popular site in Norway. 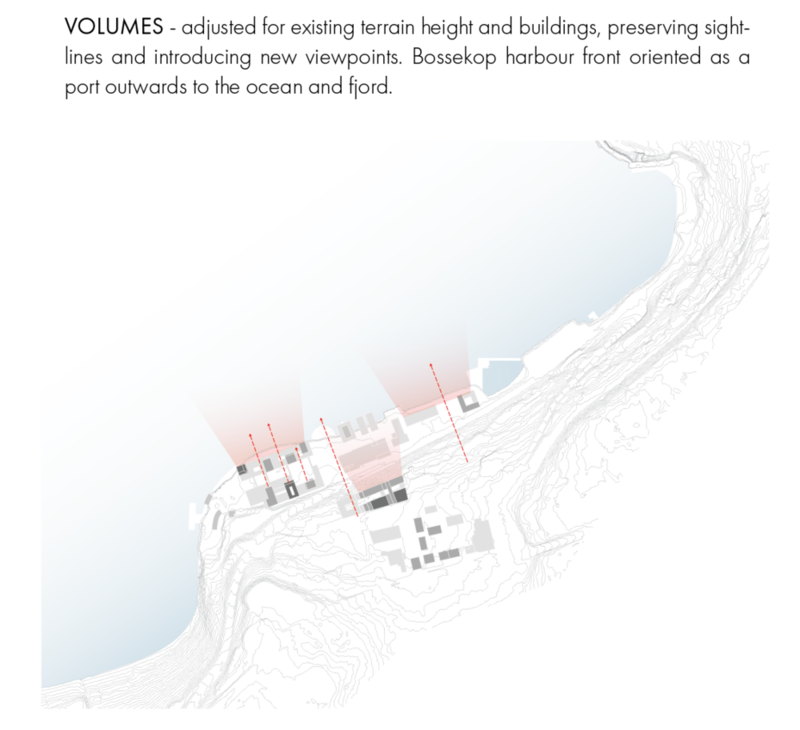 Not only does it serve as the first ever professional competition & collaboration for Tin, but also as a proof-of-concept of how the office's research practices can be translated into legitimate urban strategies. Europan is an esteemed international biennual competition, encouraging young architects and urbanists under 40, to address social and economic challenges in towns and cities throughout Europe. Tin Phan (NO), Eakapobh Huangthanapan (TH) and Wai Fung Chu (HK). The site Bossekop, Alta, represents the current trend of traditional production being relocated from urban, to desolate areas, leaving behind a “clean slate” for transformation. 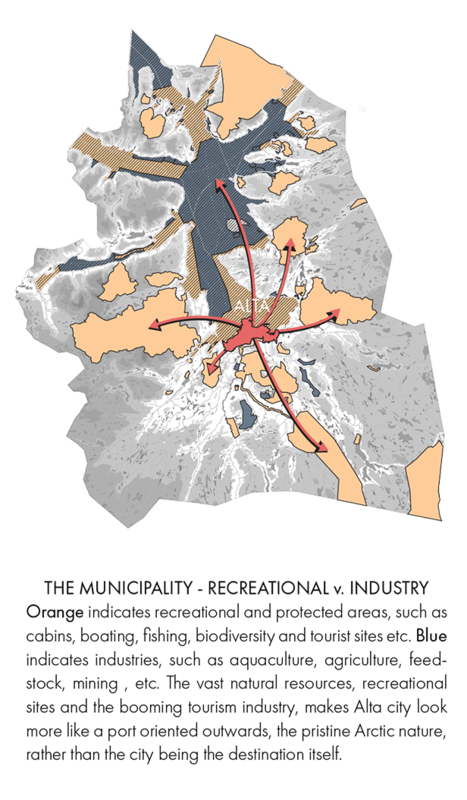 With this relocation, are we in fact, at risk of losing urban qualities, intrinsic to production only; such as social networks, working cultures, or knowledge exchange between professionals? This entry examines the importance of human interactions and networks that comes with a diverse productive/industrial foundation, from scattered across great geographical distances. 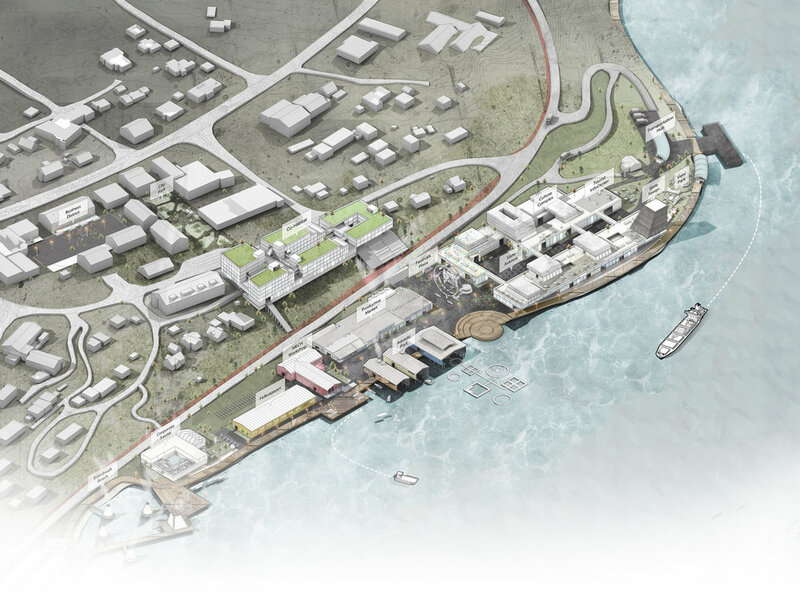 Bossekop harbour front is perceived as a converging meeting ground for cross-cultural understanding, between professionals, tourists, and new and native citizens alike. It also intentionally engages in the socio-cultural aspects of the theme, productive cities, and stresses its importance, the question is why? Cities compete against each other, more now than ever, in terms of attracting/maintaining human capital towards more productive cities. In the pursuit of a more productive/prestigious society, one has to ask; does great empires arise from grand facilities, stellar harbour front developments, elaborate tourism infrastructure, or even the numbers of employment rates on knowledge workers? We conclude on the same note as renowned scholars on the foremost productive communities, such as Castells, Porter, Florida etc. Yes, all of the aforementioned aspects are important. Yet, it is the fundamental paradigms of human interaction and relations, that binds Alta’s diverse industrial foundation together. Simple things, such as basic knowledge exchange, tolerance, openness in a given area, makes it easier to learn, stay busy and be more productive! To put it bluntly; 1st step is the universal glue for any society. It must be acquired, before the successive steps can take place. Professional communities, of considerable and extraordinary size. 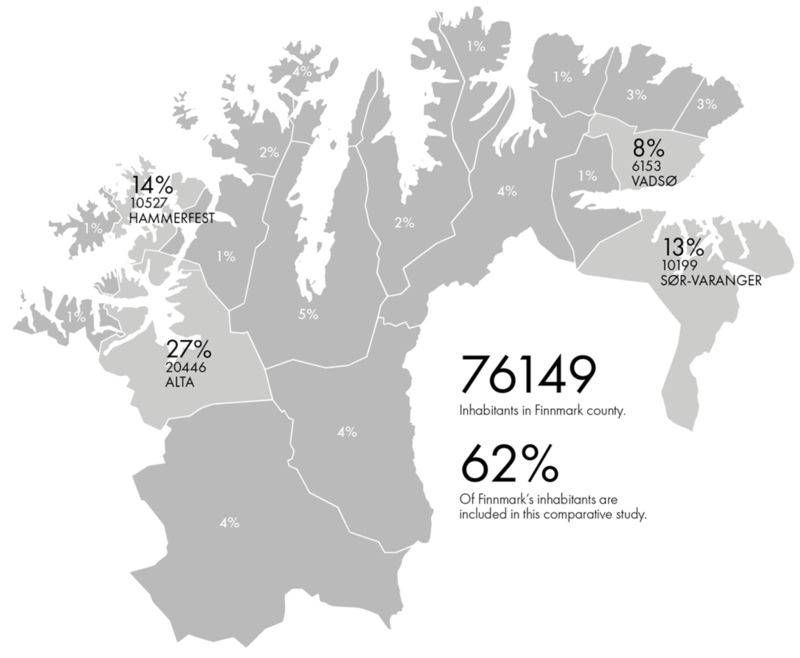 Booming tourism, showcasing the tourism is in Alta specifically, and Finnmark in general, as the fastest growing county in accommodations. Social challenges, not mentioned in the brief, there are also clear barriers between new and native inhabitants etc., on different level of society. NB! More info in the panels. How can a proposal be rooted in social and cultural planning, as mentioned in the 1st step of priorities? The proposal is additional curation or administration of intended or observed beneficiary cultures emerging, after the fact of occupation of Bossekop development.. This will increase the success rate of implementations, such as the cohabitat, coworking space, The Hatchery etc. The tools in architecture, urbanism, and design are limited to bricks and mortar, landscaping, and strategical planning. We design for hypothetical users, and leave at the very moment of completion and occupation. This is where a 24/7 curation, or a full-time administration for cultural planning comes in as crucial for the afterlife; the tweaks, and changes according to actual users, their preferences, quirks, and a better experience for the ever-changing socio-cultural tendencies of tourism. This hub functions as the gateway between the city and nature, from transportation to quarries, Nordic Lights sites,or back to the airport. All aspects of transportation are pooled together for easy access to goods, bus, cars, bikes, charging stations etc. A soft programming is provided, to easing the transition between the Culture Complex & others, to transportation systems for citizens, professionals and tourists, and the industrial area, with souvenirs and culinary exeriences. 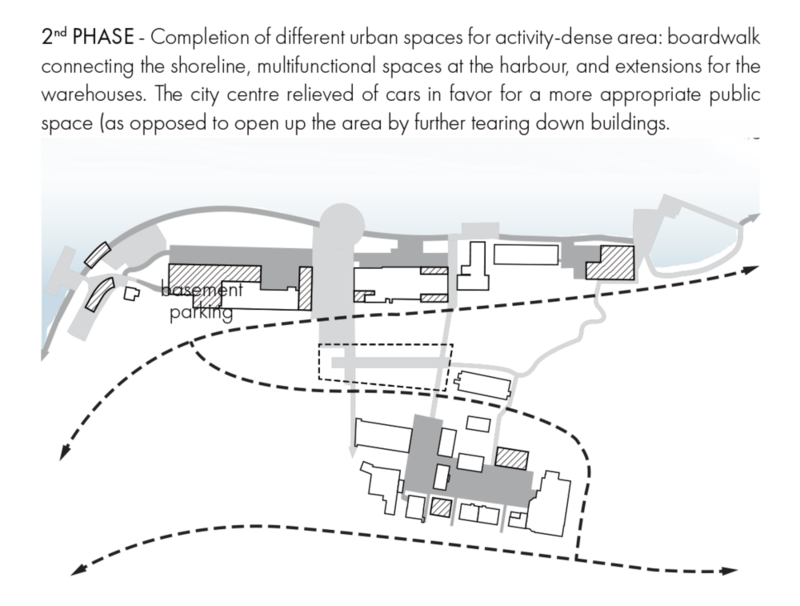 Mainly a student housing, the habitat mixes elements of dwellings, hostel, bed & breakfast, hotel, through a curated system (289 units). Other than the need of student housing, the program addresses another critical aspect; the observations of socio-cultural barriers. A platform is offered, where new & native citizens, and tourists, can rent a space together, in a collective. There will be an administration curating different tenants for mixed collectives; to craft new relations, knowledge exchange, and encourage social activities between different citizen-factions, combating potential socio-cultural segregration. Students and locals will seek this place out for cheap rent, or out of sheer adventurous curiosity. New citizens to understand all the aspects of their newfound home. Tourists to get an insight into the daily Arctic life, all of Alta’s harshness and quirks. Together, the people represent an inclusive and tolerant model society should follow! A program in accordance with Felleskjøpet’s aspirations for their workshop, and in service of the biggest professional communities in the county; such as farmers, lumberjacks, mechanics, construction, entrepreneurship etc. This workshop will have a public character, serving professionals across a wide range, with technical and mechanical equipment, towards a more inclusive culture, giving the citizens an incentive or a topic to connect, bond and socialise over. The workshop is to encourage serendipity and possible interaction between hands-on experiences with the craft and knowledge of different industries. Concerns such as mechanical issues regarding agriculture, University-related engineering activities, test ground for both entrepreneurial- and industry-related issues. 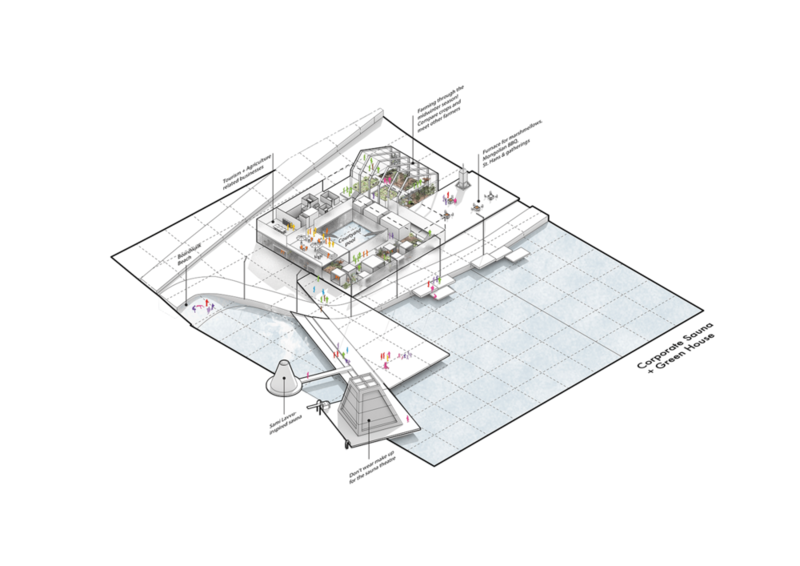 The complex is a mesh providing workspace for startups, and regular business owners, and accommodation for the current booming tourism industry. It is the definite landing pod for the aftermath of outdoors activities and to contemplate and process the vast outdoors experiences of Alta, through arts, social networking, and teachings of local history. Students in the fields of tourism at the University will be able to find work here and practice their profession before graduation. The program, coworking spaces, represents a new curated realestate model; peddling in memberships instead of sqm, social culture instead of commodity. An administration will be important in selective curation and assigning members towards a defined working culture. The cheap rent and shorter contracts is enabled through smarter digital systems, and students, startups, freelancers, small business owners etc. sharing the costs in a shared working environment. This does not only enable serendipity among diverse professionals, but also makes it possible for them to be included in the urban context and knowledge exchange, where the cost is usually high. This model also makes it easier for property owners to lease out mega structures at a more frequent rate, and increase the liveliness, 24/7 use and sustainability of buildings. What does an office, sauna and greenhouse have in common? Seemingly a freak occurrence between work, leisure and farming, this programmatic mesh answers different geographical, practical and socio-professional challenges. 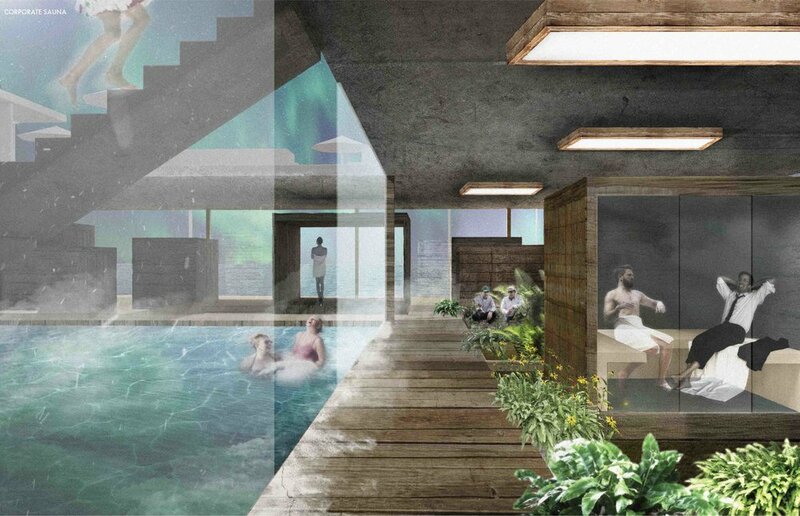 The sauna challenges the flow of corporate discussion and bargaining within the super-casual setting of saunas. Alta is also situated in the Arctic circle, of 3 month-periods of polar days and nights, making it only possible to maintain certain types of crops. The greenhouse enables a greater variety of farming. The space between saunas and crops also offers a meeting ground for the farmers across great geographical distances to interact, other professionals, or curious people are welcome to join in. With a farming & fishing community three times the size of the next biggest in the county, this marketplace is to showcase the trials and tribulations of the industry, and the aspects making it all worthwhile. The focus here is purely on how fresh produce arrives, gets handpicked, gutted, and how it can be consumed across different ethnicities and cultures, directly from the sea, and onto the slab. By exposing the entire chain to the public, the farmers, professionals, students and local inhabitants can partake and appreciate better the nature of this industry, and of course, in company of each other.